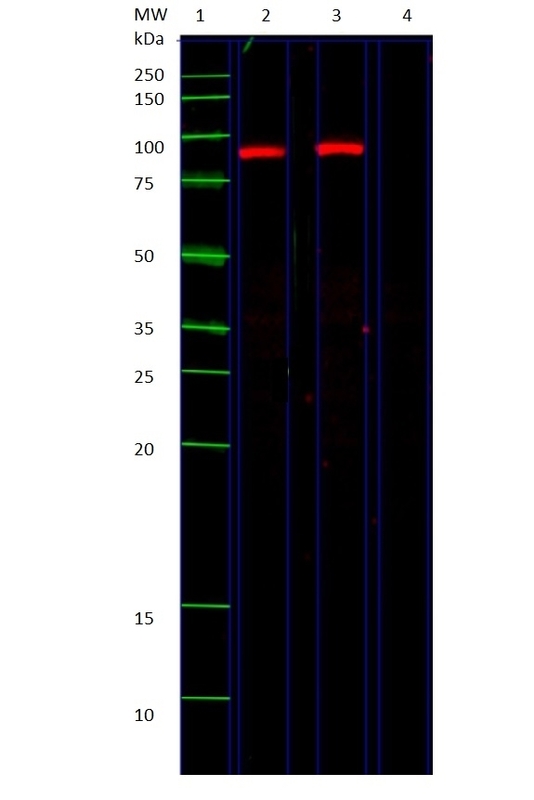 Western blot analysis of HeLa cell lysate using mouse anti heat shock protein 90 antibody, clone S88 (MCA6018) which recognizes a band of approximately 90 kDa. Western blot analysis of HeLa cell lysate using Mouse anti heat shock protein 90 antibody, clone S88 (MCA6018) which recognizes a band of approximately 90 kDa. HeLa cell lysate was run in lanes 2, 3 and 4. Lane 2 was probed with 2 μg/ml antibody and lane 3 was probed with 1 μg/ml antibody. STAR207P was used as the secondary antibody and the blot was visualized with the Bio-Rad ChemiDoc system. STAR207P was run in lane 4 without the primary antibody as a negative control. Bio-Rad Precision Plus molecular weight marker was run in lane 1. 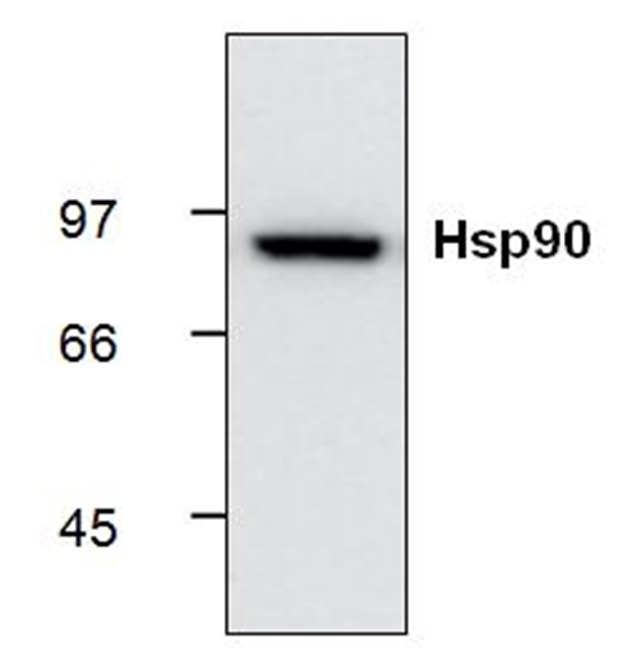 Mouse anti heat shock protein 90 antibody, clone S88, recognizes the alpha and beta forms of heat shock protein 90. Heat shock protein 90 is a highly abundant protein and acts as a chaperone. It plays a crucial role in protecting cells against heat induced stress. Mouse anti heat shock protein 90 antibody (clone S88) recognizes a band of approximately 90 kDa in heat shocked HeLa cell lysate. The antibody detects both alpha and beta forms.